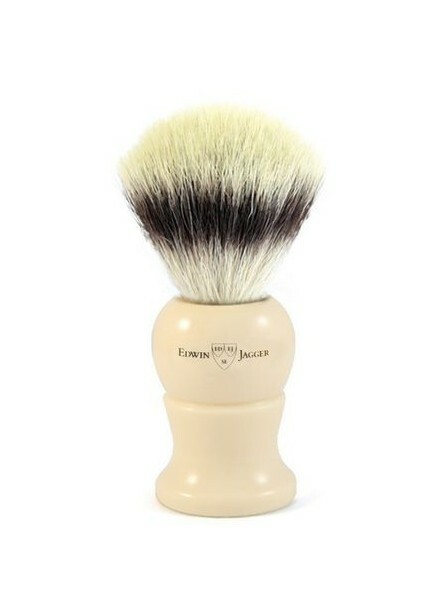 Edwin Jagger Shaving Brush L Synthetic Silver Tip Fibre Ivory. Edwin Jagger synthetic shaving brushes are handmade in Sheffield using selected polyester material and are hand filled with synthetic Silver Tip Fibre. 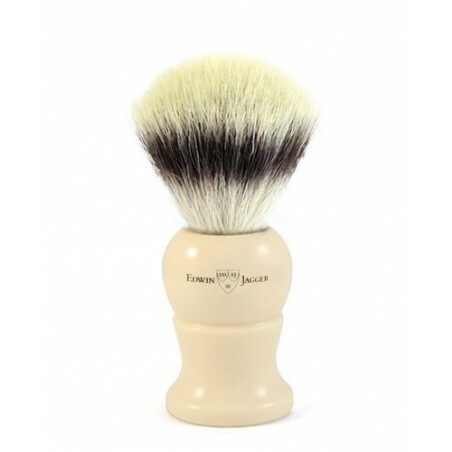 The result is a shaving brush with the feel and quality to a real badger shaving brush. It will make the same quality lather. This make these shaving brushes range an excellent alternative for vegetarian or vegan wet shavers. It is highly recommend to rinsed the shaving brush with warm water after its used. Placing it in a stand will help to a proper dry. 3EJ287synst; L size offered with a imitation ivory handle.